– Approx Dimension:18.5cm * 1.5cm * 11.5cm / 7.28″ * 0.59″ * 4.53″,1-2cm error may exist by manual measurement. 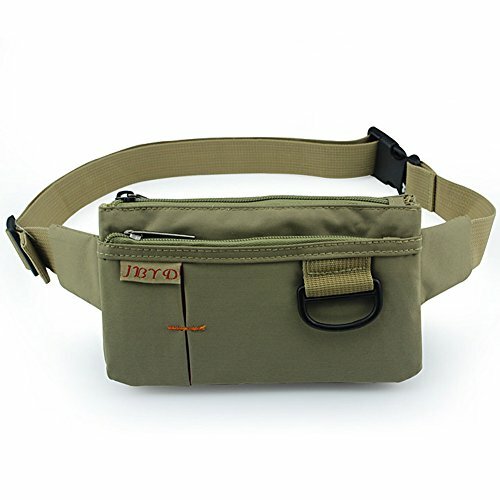 – Made of high quality cotton-polyester,lightweight but strong and durable,practical but fashionable. – Multi-layers structure,and with a separated zipper pocket on the front,convenient for you to gather your cellphone and other small stuffs. – The waist belt is quite wide and the parts tied around waist is quite thick,very comfortable to wear. – Because different monitor has different chromatism,the color difference may exist between the pictures and the product you get,please kindly understand. – In our shop,we offer you varieties of high quality Shoulder Bag,Messenger Bag,Backpacks,Totes,Wallet,Phone Bags etc made of fashionable materials such as Canvas,Nylon,PU,Leather,Polyester etc.This item is not to your taste? Please search”liangdongshop”,there are more choices for you. – We are committed to provide you excellent product and shopping experience here.If you are not satisfied with any of them, please always contact us firstly before leaving feedback/review.We will strive to deal the issues properly to your full satisfaction. Guaranteed! To all customers:We would like to remind that “liangdongshop”(TM) is a US registered trademark with No.86729328.We have never authorized any one else to sell our products on AMAZON.It is illegal to sell our product without permission and will result in legal action.